Multiple mansions are on the market along Bellevue Avenue in in Newport, Rhode Island. They range in price from just under $5 million to just under $6 million. 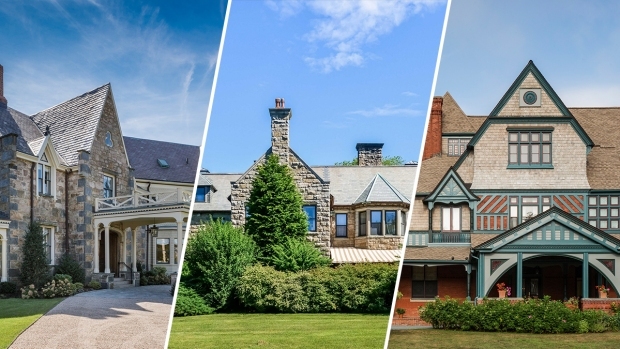 You may have visited the Newport mansions, but now you can own one! There are multiple mansions on the market along Bellevue Avenue. They range in price from just under $5 million to just under $6 million. It’s a dream for many, but you can still get a sneak peek inside. with our exclusive tour of three of them: Rockry Hall, Snug Harbor, and the Harold Brown Estate.